How do popular brands engage on Twitter? We analyzed some of the most popular and engaging twitter accounts to understand how brands communicate through social media. Identify the most popular tweets, brand style, common phrases, and post formatting. Deconstruct the elements to apply to our existing social media strategy. Try to establish unknown insights from the compiled data. Our targets are popular but approachable. The conclusions we draw will be helpful to our general audience but may also serve as content worth sharing by the tweeters we analyze. Educate our readers on the framework of twitter engagement. Receive at least one share from the brands we analyzed. Increase our twitter follower count. 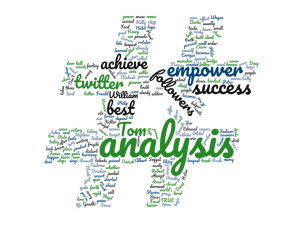 What are our twitter analysis metrics? Total Followers: How big is their audience? 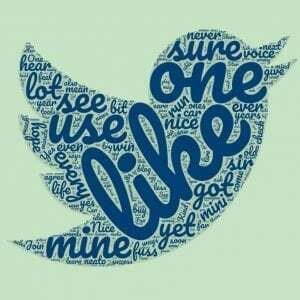 Retweet Ratio: How many tweets were original versus retweeted? Link Ratio: How many tweets contained links versus plain text? Common Phrases: We analyzed the phrase count for each brand to identify their style, voice, and message. 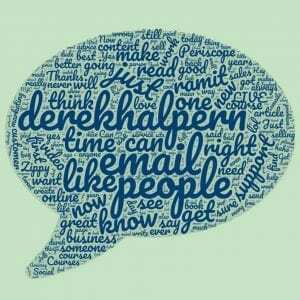 Word Cloud: To provide visual insight into the voice of the brand. Also because it’s pretty. This data should help you design and refine your own social media strategy. John Lee Dumas created Entrepreneur on Fire as a daily podcast to provide interviews, insights, and guides on entrepreneurship and online marketing. Daniel Pink is primarily an author of psychology, influence, and business. He hosts a podcast and is a public speaker. Chris Brogan is the CEO of Owner Media Group, a business growth company. He also has written books on entrepreneurship and is a public speaker. Derek Halpern is the owner of Zippy Courses, an online education platform. He also runs several online courses in copywriting and business building. Our analytics tool only managed to pull about half of the normal data from this account. John Jantsch owns Duct Tape Marketing, a small business online marketing agency. He is also a speaker, author, and consultant. Guy Kawasaki is a co-founder of Alltop and evangelist for many notable brands. Pat Flynn is the host of the Smart Passive Income podcast. He is a published author and resource for entrepreneurs. Melinda Emerson is a small business consultant most notable for her advice column on the New York Times. Tony Robbins is most famous for his appearance on the early 2000s romantic comedy “Shallow Hal”. We categorized the most common phrases in order to identify how each Twitter brand engages with their audience. By understanding these phrases, we can build our own Twitter engagement strategy following the best practices of industry leaders. 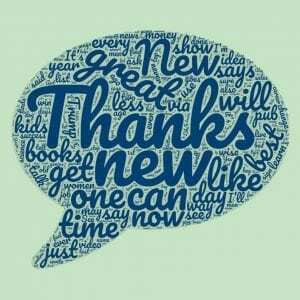 Actionable phrases such as “how to”, “step by step”, “to grow your”, and “you want to” are among the most common phrases. Providing helpful guides on developing your craft increases your perception as a thought leader. You make yourself a brand worth following for good information. Enablement phrases such as “you can”, “change your life”, and “get started with”, “be a” helps empower your audience with the confidence to take action. Audiences are engaged with ideas and content that motivates. Engagement phrases such as “what do you”, “if you know”, and “how do you” create conversations with your audience and increase user participation. Increased participation improves relationships and seeds the action around your brand. An active audience is more likely to share material and reach your content elsewhere. 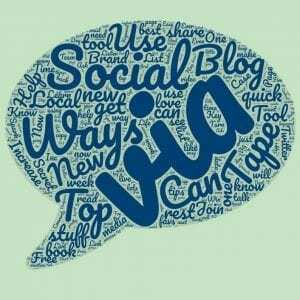 Self Promotional phrases such as “[your brand]”, “[your alternative channels]”, “in my latest”, “what I do”, “the rest here” assists in promoting the other areas of your online presence. Popular methods include asking for reviews or ratings, sharing your premium work, pointing to your website or other content available on different social media channels. Cross Promotional phrases such as “congrats to”, “this quick excerpt”, “my dear friend”, “my interview with”, and “of my favorite” points your users to other brand names you work closely with or are featured on. This method helps you strengthen relationships with other influencers and expand your reach. 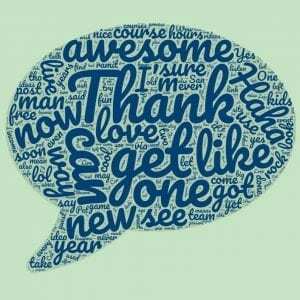 Gratitude posts such as “thank you”, “I appreciate”, and “thanks for” is an easy way to show appreciation to your audience and humanize your image. These posts increase brand loyalty, provide positive feedback to your audience, and strengthen your existing user base. Opinion phrases such as “the most”, “the world”, “listen”, “the best”, and “looking forward” is a casual way to continue user engagement by offering personal insights on subjects you care about. There appears to be a correlation between retweet count and total followers. This may be a result of having a larger audience sending helpful information worthy of retweeting. It also may be a result of a methodology for increasing brand awareness. While the link ratio varies from brand to brand, all of them included a link in at least 1 out of 4 posts. Many of the brands had way more links in their posts (as high as 98%). Each brand has a distinct style they prefer when engaging their audience. But there are clear trends in content, format, and engagement. You will come up with your own style of engagement. Now that you understand the framework of a successful Twitter account, you can refine your posts for increased engagements and strong brand building phrases.